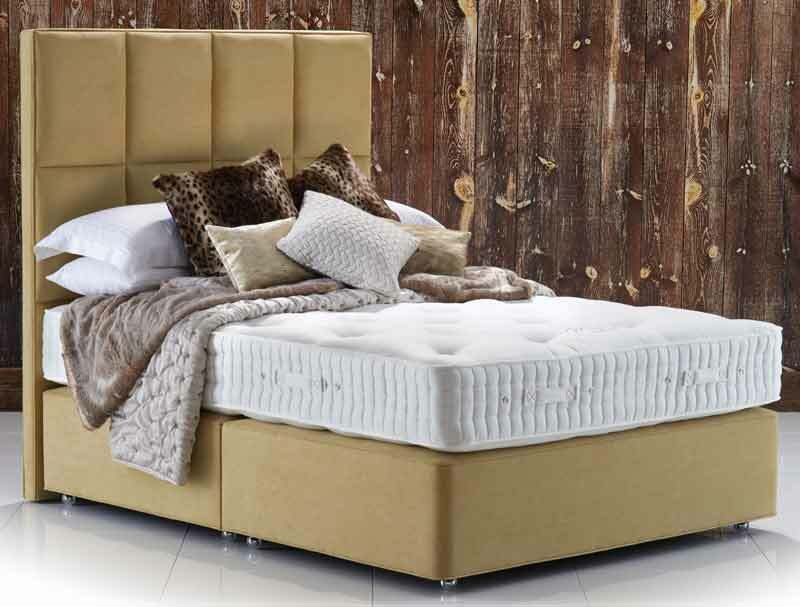 The Hypnos Maple Natural Superb mattress is new and forms part of a brand new Hypnos Natural Comfort collection for 2019 . The Maple Natural Superb mattress will replace the Old Maple Superb by end of Jan 2019. The Maple Natural Superb mattress offers a luxurious feel as it is made using a 3 zone Ultrasens pocket spring system, with each spring having 14 active turns to independently and actively sense your shape and weight distributing it across the whole of the mattress. The Maple Natural Superb mattress has an abundance of natural fillings with layers, and New for 2019 has 2800gsm of wools from New Zealand , 800gsm of wool and cashmere blend and 2000gsm of Horsetail hair for superbly soft and comfortable sleep, whilst helping to regulate your body’s temperature. 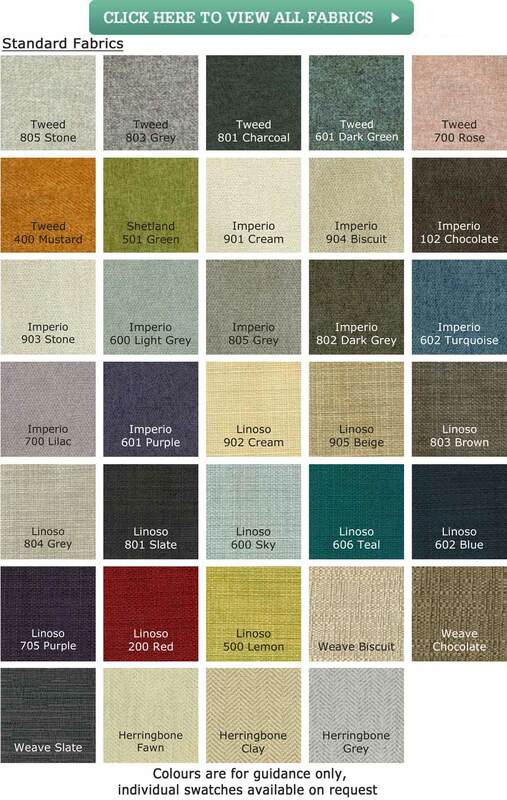 These luxury natural fillings are covered by a fine Belgian damask cover to provide a cool surface that is soft and silky yet still strong and durable. 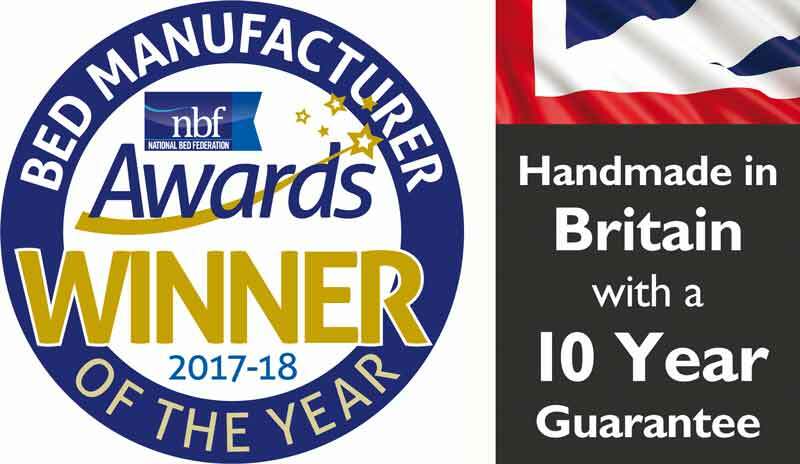 The mattress is further enhanced with 3 rows of genuine hand side stitching for edge to edge support and flag stitched handles to help with rotating and turning this fully turnable mattress. This mattress is 100% recyclable at the end of its life and has passed the carbon neutral standard. 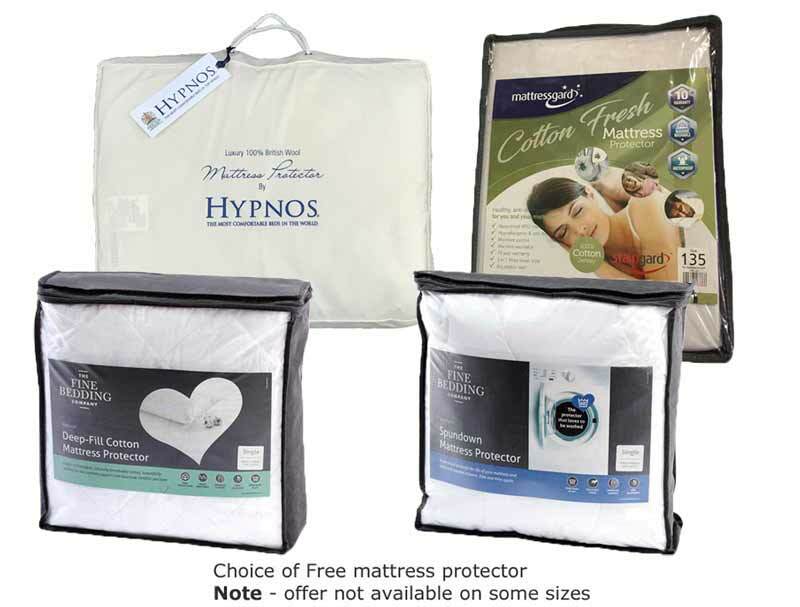 Like all Hypnos mattresses it comes with a full 10 year guarantee. 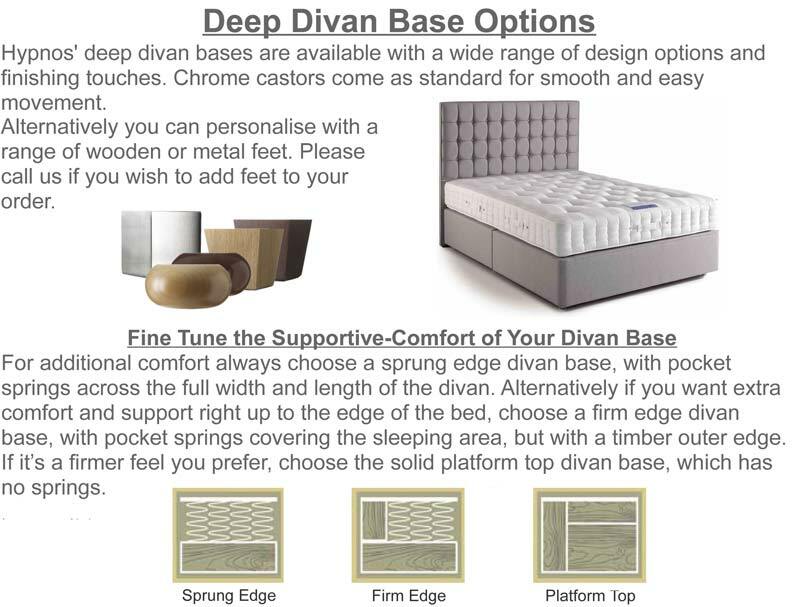 There is also a choice of over the Base on this bed , normally this would be a pocketed spring base , but with Hypnos you can have a wide range of bases and the price shown starts with a platform top non drawer hard base which can have drawers added to if required , you can also have a shallow base on legs or you can then upgrade to a coil spring deep base which is available as a fully sprung base which is springs from side to side on the base or firm edge which is hard at sides and sprung in the middle , these base options are also available as a fully sprung pocket base which would have 1000 springs in a king size base and still have the option of drawers if required . 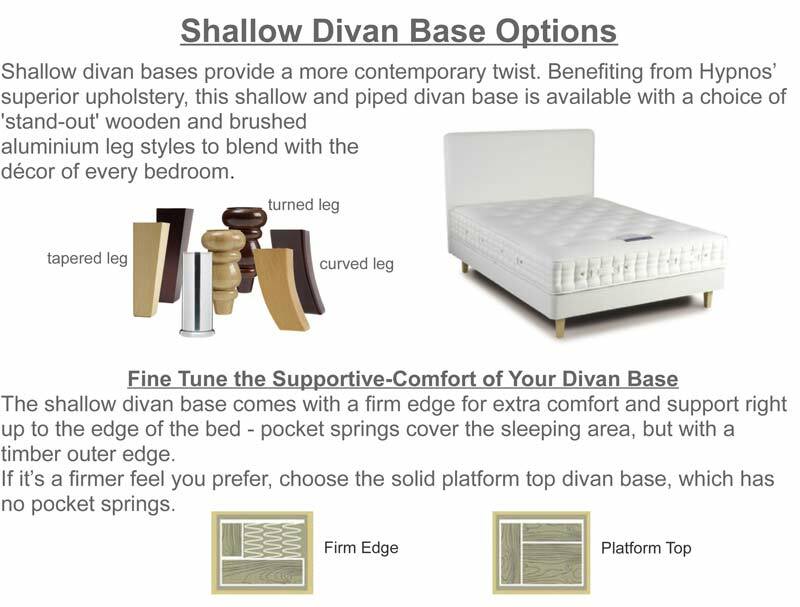 There is a option to have a firm edge pocket spring base on legs if you like clearance under your base . 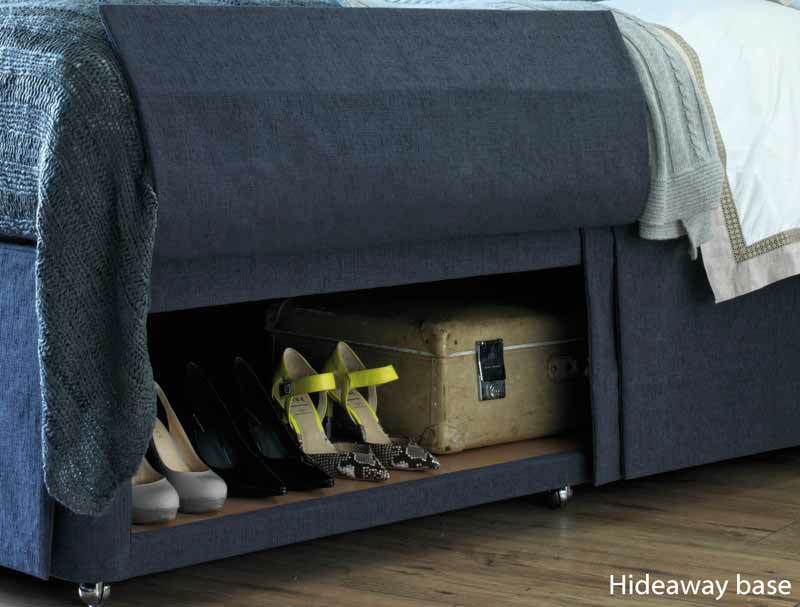 Or if storage space is a premium you can upgrade to a Hideaway base which has open sides with skirt which offers good storage space or you can select a Hypnos super storage ottoman base with a lift up lid on gas pistons to give you up to 5 x times more storage space than 4 drawers. The headboard pictured is not included in the price but is available to match the base in either strutted on legs or floor standing style. 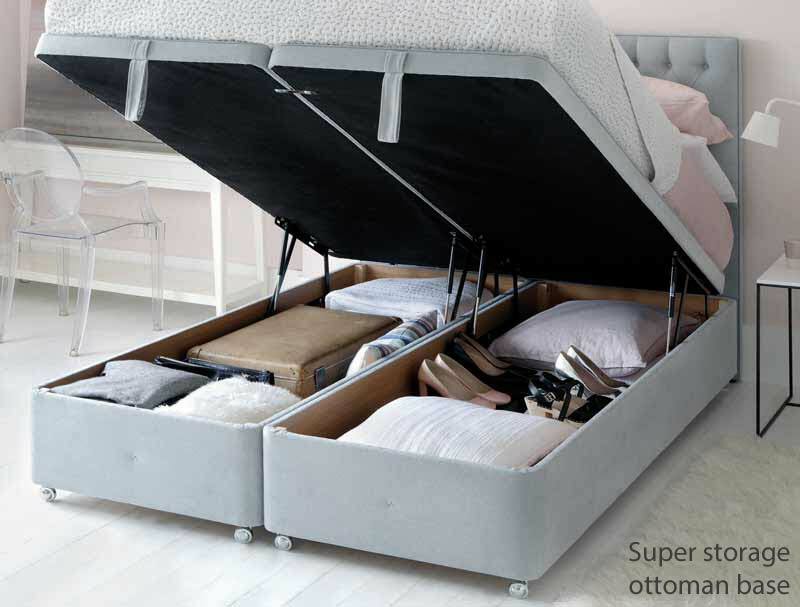 Hypnos have partnered with Yale one of the worlds leading locksmiths to offer you the chance to add a safe to your new bed, the safe is hidden in a full size drawer in the divan base. 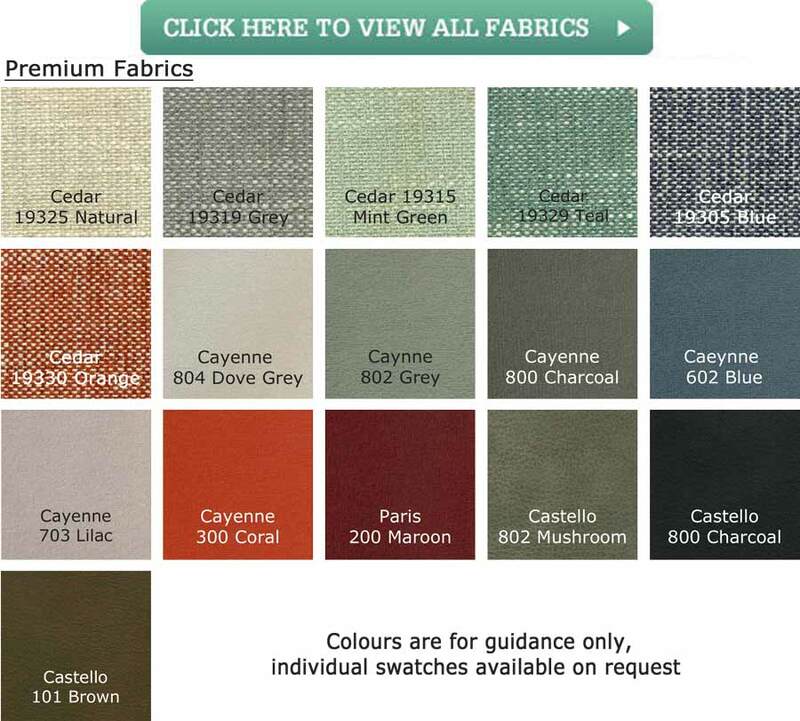 For more information or to add a safe to your order please click here.